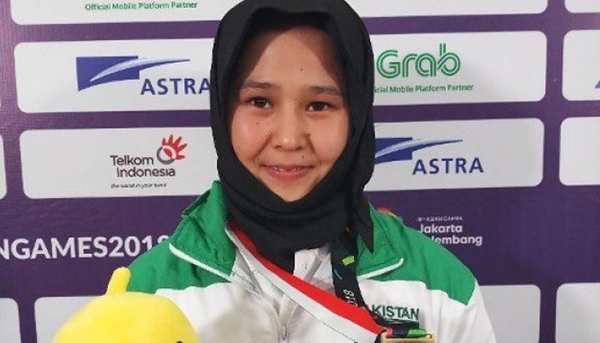 ISLAMABAD, Aug 27 (APP):Minister for Inter-Provincial Coordination Fehmida Mirza on Monday congratulated Pakistani Karate player Nargis for winning bronze medal for Pakistan in Asian Games. The minister said that there was no dearth of talent in the field of sports in the country and Nargis performed brilliantly and brought fame to Pakistan, said a press release issued here. Fehmida Mirza lauded tremendous performance of Nargis and hoped that she would continue to bring laurels to country in future also.